Thomas, thanks for taking the time to speak with us. 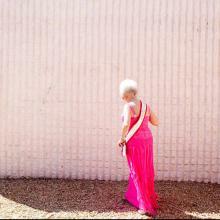 Please tell us a little bit about the background of this week's featured image. First off, thanks for asking me to do this. It’s huge honor to be on the same page with some my favorite shooters. 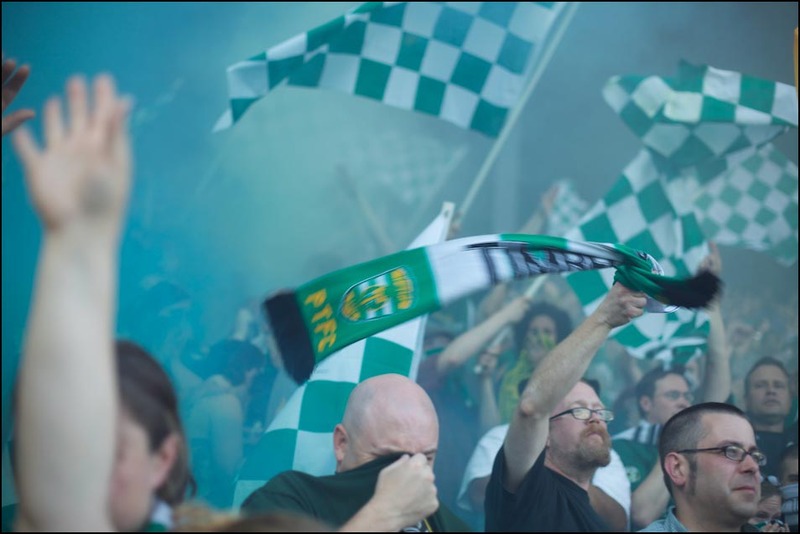 This is a picture of the Timbers Army, a fan group that cheers for the Portland Timbers soccer team They are wholly dedicated and are fanatics in the purest sense of the word. 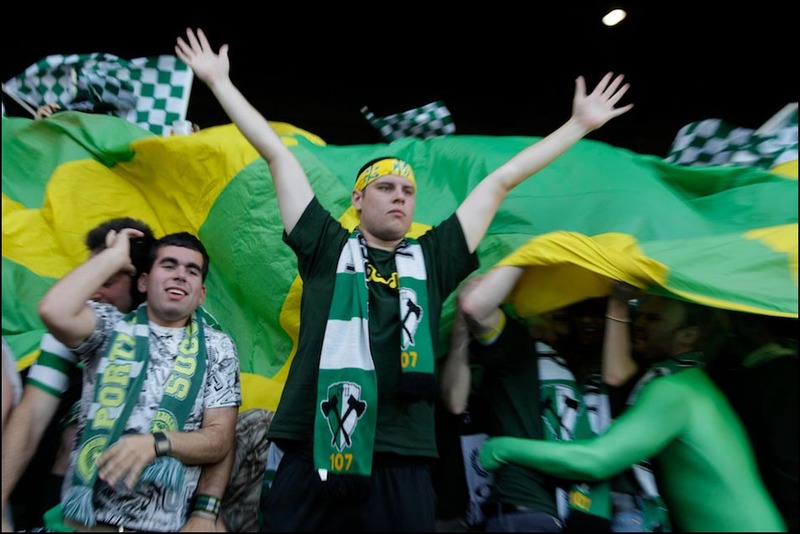 The Portland Timbers, who were a USL first division team at the time, were playing their nemesis, the MLS Seattle Sounders team for the Cascadia Cup. 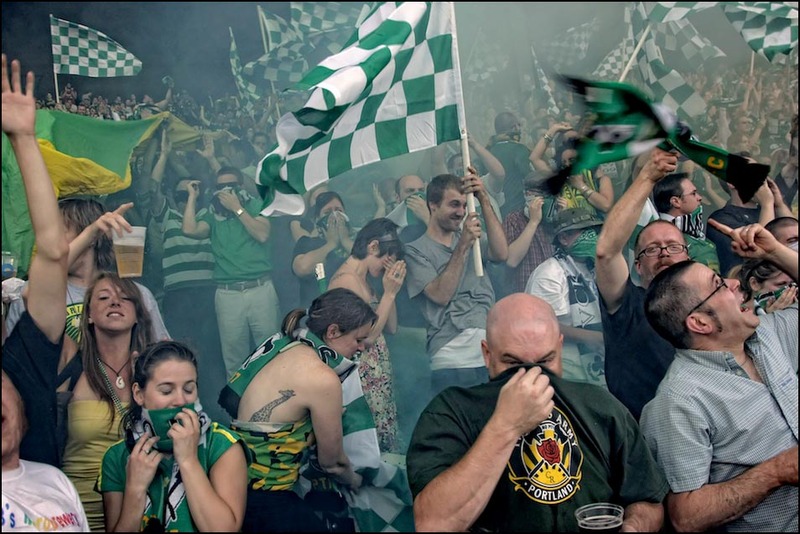 The Timbers were a massive underdog and more important, the Timbers Army despises the Sounders with all their being. I was there for no other reason than to cover the fans for The Oregonian. I pitched the idea to shoot nothing but fan photos so fellow staffer at the time, Olivia Bucks, could concentrate on deadline action photos. 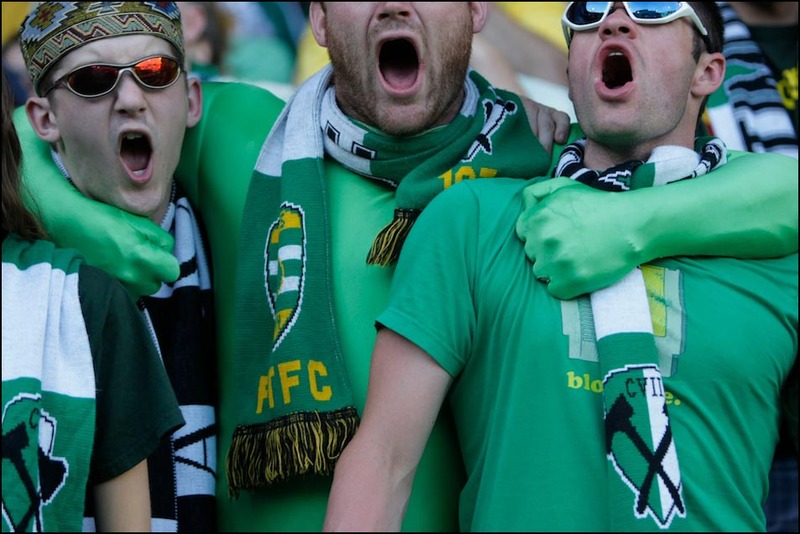 As you can guess, the Timbers scored and the Timbers Army went completely insane like I've never seen. 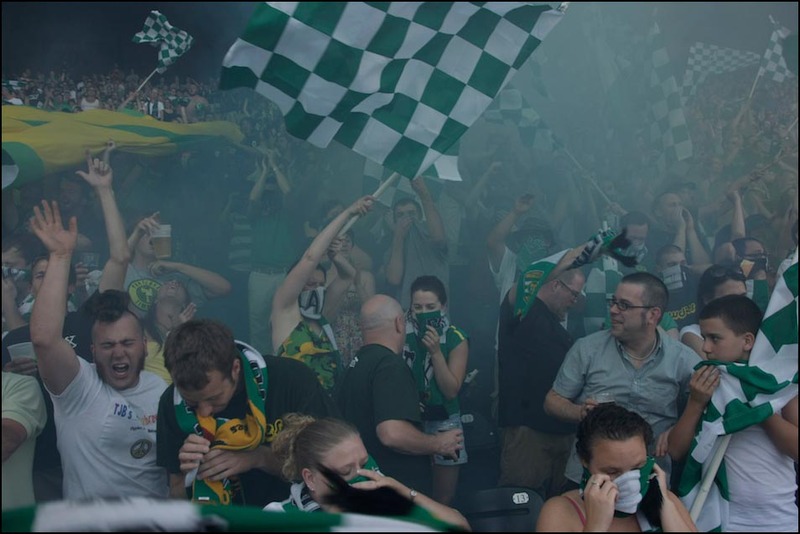 When the Timbers score, the Timbers Army lights off a series of military-grade smoke bombs. The crowd becomes completely enveloped in smoke. They wear bandanas just to breathe. Many of them gasp for air. I shot this during the celebration. The Timbers went on to lose 2-1. 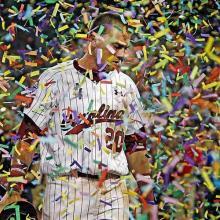 What a great picture. Did you have any idea going into this event that a picture like this could happen? 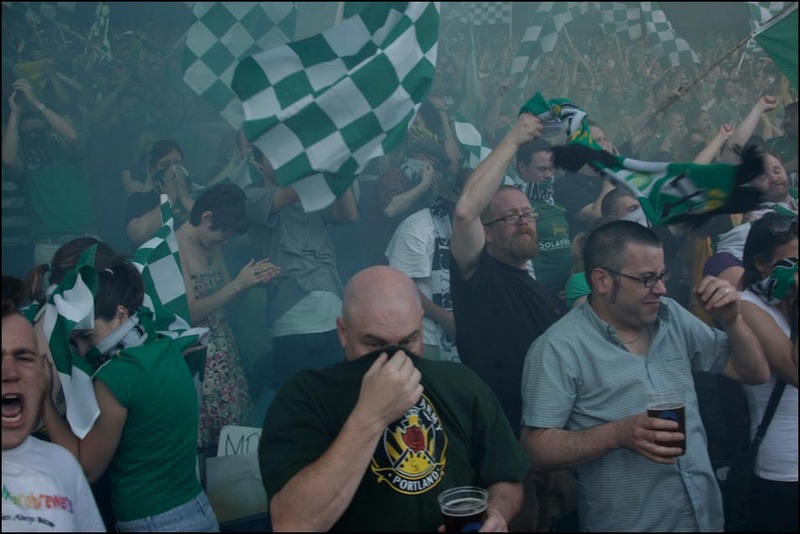 I hadn’t covered many Timbers games prior to that and the few I did cover didn’t have that level of intensity. This was a BIG GAME at the time. 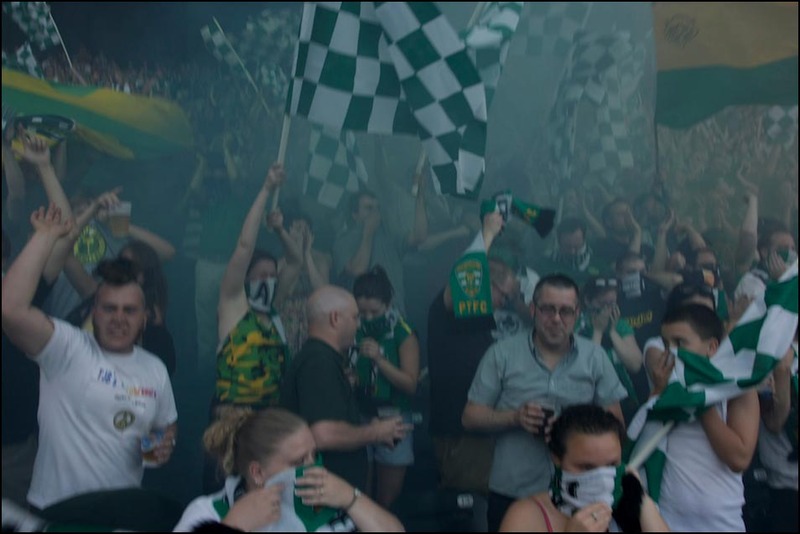 I think I’d heard from someone the Timbers Army was going to put on a big show with a Tifo and flags and smoke. Other than that I did not expect it to work out quite like it did. However, I knew there would still be some decent stuff to shoot. The team mascot is Timber Joey and he runs around the stadium and revs up a chain saw to rile up the crowd. If the Timbers score he cuts a slab off a log and hands it to the scorers at the end of game. I knew I’d have plenty to work with. Making a photo like this requires a lot of luck. The thing you are photographing has to be extraordinary. Every move the photographer makes has to be the exact right move. The trick is to put yourself in position to get lucky. By working it out with the assignment desk to shoot only the fans, it allowed me to be in position when they scored. If I were responsible for shooting both the crowd and action, I would have been pointing my camera at the players. I would have been down on the field totally out of position to make this photograph. Not only was I in the right place to make the image, I was there before the game and then throughout the entire game. The fans knew what I was up to and were accustomed to my presence. They knew who I was shooting for. By the time the team scored I was part of the scenery and became invisible when they celebrated. Ok, now onto the image itself. Tell us what led up to the moment at hand, and also what was going on in your mind you made the image. At the time, the Timbers played in a baseball venue. Right in front of the Timbers Army there were three empty rows of seats and then the roof of the dugout. It was a perfect configuration. There was a lot of space to move around and stuff to climb on. Security never said one word to me. Up to that point, I had been shooting some fairly standard, but good crowd stuff. I knew I had what I needed for the paper already in the camera. This is important to note, because, at least for me, it takes a lot off my mind. Once I know I have quality in the bag, I know I can take some risks and concentrate on the money shot. I don’t have to bother with utility images. I can wait it out and stay where I think it’s going to happen. In this case I had plenty time to decide which fans were going to make the best image. I just pulled up a chair and waited. I don’t want it to sound like I had this totally figured out, either. While I knew I was in the right place and had a strong feeling the Timbers were going to score, I had no idea how intense it would get when they did. I also had no idea that smoke bombs were going to be so...smoky. People were choking and cheering at the same time. I started trying to frame up an image and then there was this point when the smoke cleared a bit and it opened up. At the moment I shot the photo I saw the woman raise her beer to the camera. When I saw that, I thought the scene was dead. I thought she ruined the image. Even though she’s playing to the camera, it somehow comes together. It’s funny and I’ve made peace with it. After I studied the image on the back of the camera, I knew there wasn’t much point sticking around. I went up to the press booth and sent. After that, I went back down and experimented with a strobe until the end of the match. I had a blast shooting this game. Some time has passed since that day. The photo ran double-truck in Sports Illustrated, it’s won some awards, and a 40x60 print hung at Pro Photo Supply in Portland. 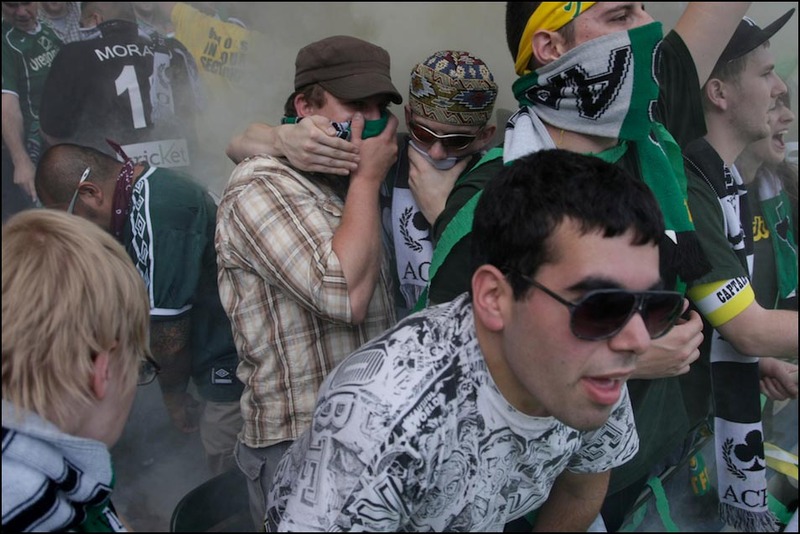 I went on to be The Oregonian’s Timbers beat photographer after they entered Major League Soccer. 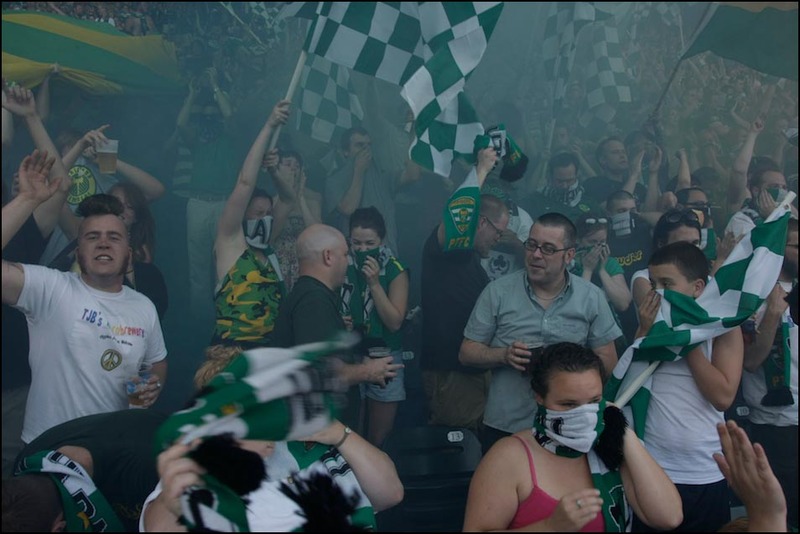 I shot over 30 Timbers games in 2011. I know this is just a sports photo. It’s not going to change anyone’s life or make the world a better place. Even so, I think it ended up being a moment in Portland’s history when the city believed that Major League Soccer could work. It has historical significance. Was there any points of conflict or struggle during the making of this picture, and how did you handle it? I didn’t encounter one bit of conflict while making this photo. It was all peace, love, drunkeness and joy. 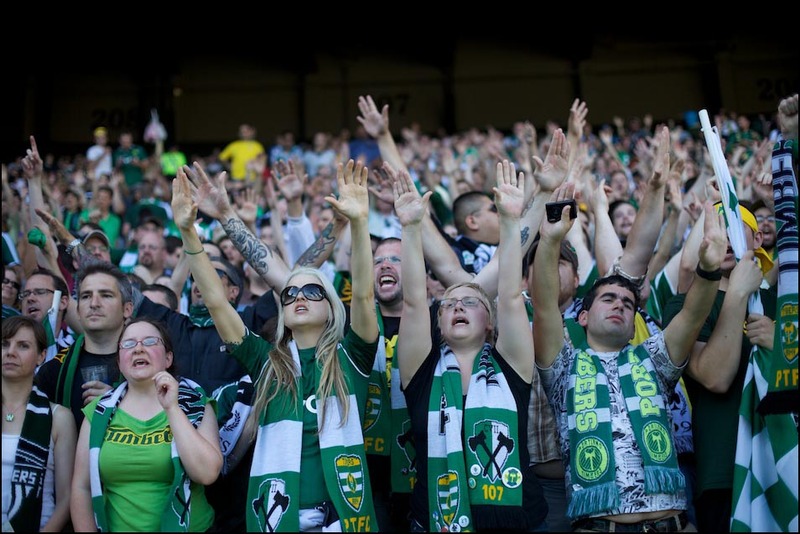 It’s the main reason I agreed to be the Timbers beat photographer at The Oregonian. Even after shooting over 30 games in an inaugural season, I didn’t have one conflict the entire year with fans, security or management. I can’t say the same thing about covering Oregon football. I work with Bruce Ely and I’ve learned a lot from him. He’s the most patient photographer I’ve ever seen. He decides what he wants to do and figures out a way to make it happen. He zeros in and makes a full commitment to that idea. This was not the first time I’ve done that, but was probably the most satisfying with the highest reward. I came to The Oregonian from a smaller paper and it would have been very rare to let a shooter hang out in the stands for an entire game while another shot action. I guess I learned the value of working at place that can afford the bodies to do that. The image surprised me the most. I like looking at it. There’s a lot to see in there. When I was shooting I knew it would be interesting. When I was going through the edit my jaw dropped. I couldn’t believe it came together that well. It seems to go on forever. In conclusion, what advice do you have for photographers to make strong feature images? Commit to your idea. Come up with a plan, do what you have to do to make it happen logistically, and then ride it out. Be patient and see it through. Put yourself in a position to be lucky and when luck smiles on you...be ready. While I shoot a ton of sports, I don’t consider myself a “sports photographer.” Even so, I feel compelled to stick up for sports photography. I know that most of it is completely trivial in terms of its role in the world. I learned from watching my kids’ basketball games that struggle, triumph and growth are the subtext for every contest. No game is trivial to the athletes playing it, and it’s up to us to tell the story. I also have to mention that shooting as much sports I do really helped me make this photo. I don’t think there’s any better way to fine tune image-making skills than to shoot sports on a regular basis. It helps me see and compose quickly. I helps me run my gear in an intuitive way. And when a photographer shoots a lot of sports, they get better at seeing the peak of a moment and they have the timing to nail it. I bring that up because I’ve seen some photographers act like shooting sports is beneath them in some way. My message is that there's no shortcut to achieving what you want with photojournalism, other than paying your dues and doing the work. 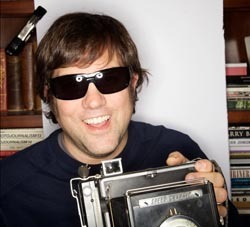 Boyd has worked as a staff photographer at The Columbian newspaper in Vancouver, Washington, and at The Register-Guard where the paper was recognized as a finalist for the Pulitzer Prize for their coverage of the Thurston High School shooting. 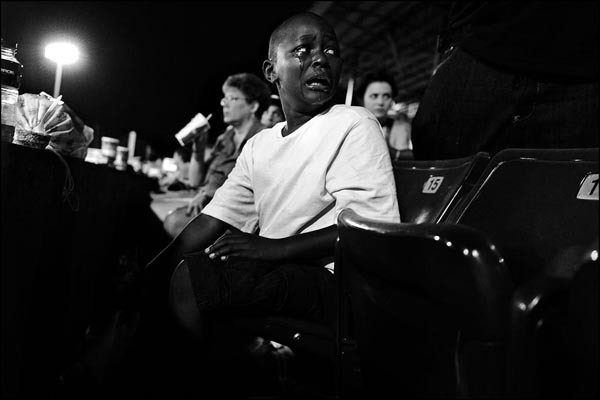 In 2007 Boyd joined the staff photographer at The Oregonian in Portland, Ore.
Boyd had photographed every President since Ronald Reagan, covered the U.S. Track and Field Olympic Trials, several NCAA Basketball Tournaments, BCS National Championship, had assignments in Belize and Guatemala. He's spent months at a time covering stories on childhood obesity, the Columbia Gorge, Hunger, and the Willamette River. He and his wife Carrie have twins named Cole and Greta, born in August 1998.